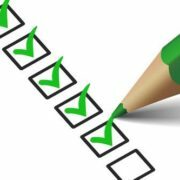 Six-Step Year-End Marketing Checklist for 2018 | Young Marketing Consulting - Results. Not Buzzwords. It’s hard to believe, but 2018 will be over in a few weeks. Before the new year arrives, it’s worth taking a step back to assess your marketing performance in order to build your marketing strategy for 2019. Let’s take a look at six steps you can take to make sure your marketing stays on track to big returns next year. The numbers above will give you what you need to determine your marketing ROI by channel, as well as identify any conversion hurdles that could improve that figure. As an example, if you’re heavily invested in social media but struggle to generate traffic or sales returns from that channel, it’s worth asking whether that spend could be better used on other activities. Your long-term web traffic trend: ideally it’s increasing. If it’s not, you’ve got some content marketing and web traffic generation to do. Any peaks or valleys: these spikes will show you where you’ve been successful, and where you’ve floundered. Trace your successes back to the source and replicate those activities. Content is king (as we’ve covered in a previous content marketing blog). And in every content campaign you’ll find pieces that perform better than others. Your goal is to identify why these particular posts worked and replicate that success in the new year. To do so, begin by reviewing your most popular social posts to see what commonalities they share. Did you stumble on a particularly compelling social media hashtag? Did you catch the eye of one or two social influencers? Or did you manage to ride the coattails of a trend to gain some exposure of your own? Your goal is to distill 2018’s social media success into 2019’s calendar, so make sure to document what worked well and have your content marketing team tailor its efforts as appropriate. Once you’ve reviewed your social media performance, it’s time to examine your on-site marketing content. Take a look at your website’s analytics and review your most popular posts and pages. Again, you’re looking for commonalities. 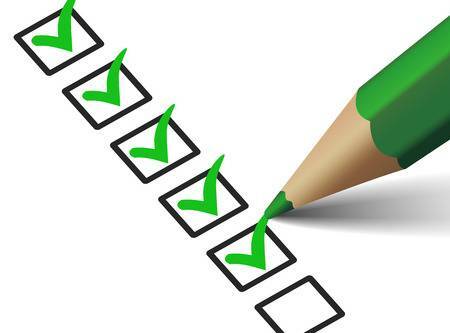 Did your listicles outperform everything else? Are your white papers real hits? Identify what’s working, and double-down on your content marketing. Markets evolve. What your target audience may have wanted in 2018 might be old news in the new year. Take some time to browse your trade press, industry groups, message boards, and other sources for what changes might be coming so that you can make sure your value proposition remains current. Event better, survey your customer base in order to ensure that you’re still meeting their needs. The best way to stay in business is to meet your customers’ needs better than anyone else. And the better you know them, the more confident you can feel that you’ll be putting out the right message in 2019. If your business slows during the holiday season, you may find that it’s an ideal time to take care of low-hanging brand identity fruit that has fallen to the back burner all year. A creative refresh, website tune-up, or asset review may be the perfect task for the slower period. What is the business need that the marketing software solves? How is it priced compared to its alternatives? How much employee time would be gained or lost if you switched to a different tool? What functionality would be lost or gained if you switched? How much additional revenue do you think you could drive if you switched? I hope that our six-step year-end marketing checklist helps you refocus and drive progress in the new year. If you have any questions or would like to discuss support with any of the items above, please contact Young Marketing Consulting today.